There are dozens of different ways to remove a tick, but most of them cause more problems than they solve. Ticks are a pest that carry disease and cause pain for pets and people alike. If you live in a rural area, you have likely faced the problem of removing a tick off a dog or child. You may be reluctant to use chemicals or matches. Using oil to kill a tick is a natural way to dispose of the pest with no harm to the victim. Suffocate the tick on an animal or a person by carefully pouring baby oil or auto lubricating oil over the tick, just enough to cover it. The oil will suffocate the tick and kill it. A dab of petroleum oil will have the same effect. Do not use light, natural oils, as they are not as effective at killing ticks. Wait a few minutes for the tick to suffocate. The larger it is, the longer it will take. Watch for when the tick pulls its head out of the host. With a pair of tweezers, carefully--without squeezing the tick--remove it. Make sure the head is removed because tick saliva and blood can cause disease in the victim. 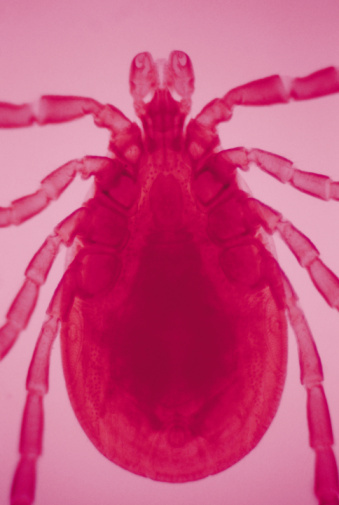 If any tick intestines are forced into the host, he can get Lyme disease or severe skin reactions. Use a fine-toothed comb to pull a tick out of an animal's long fur.